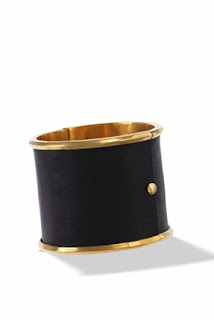 You can shop the House of Harlow 1960 leather cuff at The Trend Boutique. The House of Harlow 1960 statement cuff was one of the first designs by Nicole Richie for her House of Harlow line and Nicole has been spotted wearing it many times over recent years. Thanks to Charlene for this spotting.